Kalium Lakes sees 90% surge in SOP reserves at Beyondie (0) September 19, 2018 Kalium Lakes’ bankable feasibility study has returned with a 90 per cent increase in its Beyondie sulphate of potash project (BSOPP) ore reserves, totalling 5.1 million tonnes (Mt) SOP. Orion Minerals commences near-mine exploration at Prieska (0) September 18, 2018 Orion Minerals has neared completion of its Prieska zinc-copper drill-out program and commenced its near-mine exploration in South Africa. Ramelius commits to early 2019 start for Edna May gold mine (0) September 18, 2018 Ramelius Resources is to commence underground mining at the Edna May gold mine near Westonia, Western Australia in early 2019. 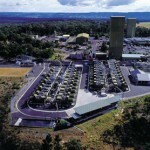 Mastermyne to commence road development at South32’s Illawarra coal operation (0) September 17, 2018 Following a previous deferral, coal services contractor Mastermyne is to commence road development services at South32’s Illawarra metallurgical coal operation in New South Wales over a period of two years. New Century Resources officially reopens Century zinc mine (0) September 17, 2018 New Century Resources has officially reopened its Century mine, where guests were treated to a close-up viewing of Australia’s largest ever hydraulic mining operation. Newcrest grants Encounter seven exploration licences in Tanami gold province (0) September 17, 2018 Encounter Resources has received seven new exploration licences in the Tanami gold province in Western Australia as part of its joint venture (JV) agreement with Newcrest Mining. Thiess bolsters Encuentro copper contract with $420m extension (0) September 17, 2018 Thiess has been awarded a $420 million contract extension by Antofagasta Minerals to continue its operations at the Encuentro open pit copper mine in northern Chile. Pilbara Minerals’ first spodumene shipment from Pilgangoora now imminent (0) September 17, 2018 Pilbara Minerals has announced that it expects to ship its first spodumene concentrate from the Pilgangoora lithium-tantalum project in Western Australia later this week. Artemis has now recovered 7kg of gold nuggets from its projects (0) September 17, 2018 Artemis Resources has announced that it had recovered a total of seven kilograms (or 225 ounces) of conglomerate gold nuggets from its exploration activities. National Plant & Equipment delivers Liebherr R 996B Excavator to Fortescue’s Christmas Creek Mine (0) September 17, 2018 National Group’s premier brand, National Plant & Equipment (NPE), has delivered the first of their two new Liebherr R 996B Excavators to Fortescue Metals Group’s (Fortescue) Christmas Creek site. Newmont Mining named industry leader by Dow Jones index (0) September 14, 2018 Newmont Mining has been named leader of the metals and mining industry by the Dow Jones Sustainability World Index (DJSI World) for the fourth consecutive year. Kairos Minerals recovers hundreds of gold nuggets in the Pilbara (0) September 14, 2018 Kairos Minerals has announced significant gold nugget discoveries as many as 256 nuggets at its Croydon project in the Pilbara. Rio Tinto Amrun export facility wins civil construction award (0) September 13, 2018 Rio Tinto’s Amrun Chith export facility team, McConnell Dowell, Bechtel and Jacobs, have won a Queensland Civil Contractors Federation (CCF) Earth Award for its civil construction. Lithium Australia cathode performance to be tested by Chinese battery makers (0) September 13, 2018 Lithium iron phosphate (LFP) cathode powders produced at Lithium Australia’s subsidiary VSPC will be tested by battery-cell makers in China in the coming fortnight. 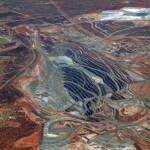 Kalium Lakes in talks with Australian Government for NAIF potash funding (0) September 13, 2018 The Australian Government-backed Northern Australia Infrastructure Facility (NAIF) is to investigate potential funding options for Kalium Lakes’ Beyondie Suphate of Potash (SOP) project in Western Australia. Rio Tinto recognised for gender diversity and anti-domestic violence program (0) September 13, 2018 Rio Tinto has received two awards at the 2018 Women in Resources National Awards (WIRNA) for gender diversity and anti-domestic violence initiatives. Mining shines in SEEK job report despite weak overall growth (0) September 13, 2018 SEEK has reported its weakest month for growth in Australian job advertisements since March 2017 but the mining, resources & energy sector still led the way across all included industries. Mining companies join forces in suicide prevention in an Australian first (0) September 13, 2018 Mining companies have, for the first time, got on board with the annual MATES In Construction ‘Fly the Flag Day’ public awareness campaign to help prevent suicide. Global lithium production set to double in five years to meet EV demand (0) September 13, 2018 A new report from GlobalData predicts that electric vehicle (EV) demand will double global lithium production from 26,700 tonnes (t) in 20180 to 58,300t in 2022. Artemis identifies high-grade cobalt zones at Carlow Castle (0) September 12, 2018 Diversified explorer Artemis Resources has returned high-grade RC drilling results from the Carlow Castle copper-cobalt-gold project in the Pilbara, Western Australia. Northern Star extends loan to Venturex Sulphur Springs project in WA (0) September 12, 2018 Northern Star is set to lend $2 million to Venturex Resources to support the development of Venturex’s Sulphur Springs copper-zinc project in Western Australia. RTG-led consortium meets Bougainville Gov’t over Panguna project (0) September 12, 2018 ASX-listed RTG Mining has presented its redevelopment proposal for the Panguna mine to the House of Representatives in Bougainville in a significant step forward for the project. Lithium Australia acquires lithium-tin resource in Germany (0) September 12, 2018 Lithium Australia has completed its acquisition of the Sadisdorf lithium/tin resource and Hegelshöhe exploration project from Tin International in Germany. Mining starts at Matsa’s Red Dog gold project in WA (0) September 12, 2018 Matsa Resources has commenced mining operations at its 100 per cent-owned Red Dog gold project in the Goldfields region of Western Australia. Australian Potash gains mining leases for Lake Wells project (0) September 12, 2018 Australian Potash has been granted mining leases for the development of its Lake Wells potash project in Western Australia. Altura Mining secures additional capital to bolster Pilbara expansion (0) September 11, 2018 Altura Mining has secured an additional $US15 million ($21 million) to support the operation of its Altura lithium project at Pilgangoora in the Pilbara. Northern Minerals discovers two new rare earth prospects in WA (0) September 11, 2018 Northern Minerals have announced two new high-grade heavy rare earth discoveries, Dazzler and Iceman, less than 15 kilometres from its Browns Range processing plant in northern Western Australia. Millennium achieves Nullagine gold target ahead of schedule (0) September 11, 2018 Millennium Minerals has boasted an outstanding production rate of 400 ounces (oz) a day at its Nullagine gold project for the past two weeks . New Century commences zinc pipeline operations to Karumba (0) September 11, 2018 New Century has announced that zinc concentrate is now being delivered via the company’s recently developed slurry pipeline to the Karumba Port Facility for export. Taking fleets further: The ExxonMobil Optimised ODI Process (0) September 11, 2018 Every fleet has different needs. Because of varying truck routes, haul lengths and load weights, custom care is necessary. Clive Palmer announces $1.5bn coal-fired power station in QLD (0) September 11, 2018 Waratah Coal chairman Clive Palmer has launched a proposal to create a new 700MW coal-fired power station in the Galilee Basin, Queensland in association with his company’s Galilee Coal project. Australian Vanadium secures new license at Gabanintha project (0) September 10, 2018 Australian Vanadium has been granted a licence for a new tenement south of the Gabanintha vanadium resource in Western Australia. Mineral Resources purchases 10.8% stake in Barra Resources (0) September 10, 2018 Mineral Resources has bought 10.8 per cent of Perth-based explorer and developer Barra Resources’ shares for $2 million. Ausdrill completes raising for Barminco acquisition (0) September 10, 2018 Ausdrill has completed the retail component of its $250 million entitlement offer on Barminco, thus finalising its equity raising that was first announced in August. 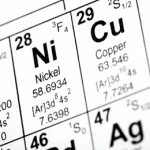 BHP Nickel West awards $190m mine contract to Thiess (0) September 10, 2018 BHP Nickel West has awarded a $190 million contract to Thiess for its mining services at the Leinster underground nickel mine in Western Australia. 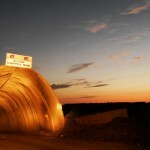 AngloGold Ashanti extends Barminco contract with $700m deal (0) September 7, 2018 AngloGold Ashanti has awarded Barminco with a five-year $700 million contract extension at Sunrise Dam. Evolution uses Minnovare tech to reduce QLD gold mine dilution by 62% (0) September 7, 2018 Minnovare and Evolution Mining have embarked on a successful technology collaboration at the Cracow gold mine in Queensland that has reduced dilution by an average 62 per cent. 2018 Prospect Awards extends nomination deadline (0) September 7, 2018 Due to high demand, the nominations deadline for the 2018 Australian Mining Prospect Awards has now been extended to Friday, September 14. MICROMINE onboard as major sponsor at the 2018 Austmine Innovation Roadshow (0) September 6, 2018 MICROMINE, the leading provider of software solutions to the mining industry, was recently announced as the major sponsor of the upcoming 2018 Austmine Innovation Roadshow. 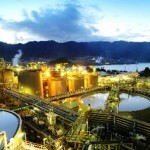 Total wins four-year contract at Newcrest gold mine (0) September 6, 2018 Total has secured a four-year contract with Newcrest Mining at its Lihir gold mine in Papua New Guinea (PNG). CORE launches data pilot program with support from Rio Tinto, CSIRO (0) September 6, 2018 Innovation hub CORE has launched a new data science pilot program with major resources industry and academic collaborators. Perth Mint introduces Australia’s most valuable gold coin at $2.48m (0) September 6, 2018 The Perth Mint unveiled Australia’s most expensive coin, Discovery, valued at $2.48 million. It is considered the most valuable collector coin in history. Newcrest Mining and University of Queensland sign partnership agreement (0) September 5, 2018 Newcrest Mining has entered into a formal partnership with the University of Queensland (UQ) to solidify the long-standing relationship between the two. Altura Mining officially opens Pilgangoora lithium project (0) September 5, 2018 Altura Mining has officially opened its Altura lithium project in Pilgangoora, Western Australia, 18 months after construction started. Lithium Australia to recommission VSPC plant for battery material (0) September 5, 2018 Lithium Australia has announces that the VSPC pilot plant operated by fully-owned subsidiary Lithium Australia NL will be recommissioned tomorrow. Downer wins $286m Millmerran mine management contract (0) September 5, 2018 Downer was awarded a contract extension by Millmerran Power Partners for its mining services at the Commodore open cut coal mine in South East Queensland. BHP to acquire interest in SolGold for $49.1m (0) September 5, 2018 BHP will acquire 6.1 per cent of Brisbane-based company SolGold, owner of the Cascabel copper-gold project in Ecuador for £27.42 million ($49.1 million). Volt Resources reaches environmental milestone at Bunyu (0) September 4, 2018 Volt Resources has received the Environmental Impact Assessment (EIA) certificate from the National Environment Management Council of Tanzania (NEMC) over its Bunyu graphite project. Nickel Mines increases pig iron plant interest to 60% for $US70m (0) September 4, 2018 Australian company Nickel Mines has increased its interest in an under-construction nickel pig iron plant in Indonesia by 35 per cent to 60 per cent for $US70 million ($97.3 million). OZ Minerals expands Eloise JV with Minotaur (0) September 4, 2018 OZ Minerals and Minotaur Exploration are to expand exploration activity at the Eloise joint venture (JV) in Queensland. 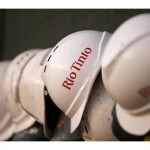 Rio Tinto and Antipa commence drilling at Citadel project (0) September 4, 2018 Rio Tinto subsidiary Rio Tinto Exploration has commenced its 3050-metre drill campaign with Antipa Minerals at the Citadel project in northern Western Australia. Evolution and Andromeda enter gold exploration JV (0) September 3, 2018 Evolution Mining has entered into an earn-in joint venture agreement with Andromeda Metals over the latter’s Drummond exploration project in north Queensland. Record pellet premiums bode well for iron exporters (0) September 3, 2018 China has been reducing its domestic magnetite production in favour of imported pellets in part to reduce emissions and improve productivity. Century zinc mine on track, secures $40m for expansion (0) September 3, 2018 New Century Resources has entered into a $40 million debt facility with NAB for expansion funding of its Century zinc mine, 250km northwest of Mt Isa, Queensland. Meet the ifm experts – Chris Dicker (0) September 3, 2018 Meet Chris Dicker who is both the Australasian product manager and complex product manager for ifm in Australia. Sandfire hits record net profit after strong DeGrussa copper-gold production (0) August 31, 2018 Sandfire delivers a record $123 million net profit after tax on the back of DeGrussa’s strong production, low costs and high copper price during the 2018 financial year. MST Global releases ‘uninterruptible’ power supply range for mining (0) August 31, 2018 Mining technology company MST Global has developed a new range of network solution and safety equipment that is specifically designed for operation in harsh environments. Northern Star to acquire Pogo gold mine for $US260m (0) August 30, 2018 Northern Star is set to acquire the 4.1 million ounces Pogo underground gold mine in Alaska in a deal worth $US260 million ($347 million). MinRes completes Koolyanobbing iron ore acquisition in WA (0) August 30, 2018 Mineral Resources has finalised its completion of the Koolyanobbing iron ore assets in the Yilgarn region of Western Australia from former owner Cleveland-Cliffs. Early detection system catches Fortescue conveyor belt rip (0) August 30, 2018 An early belt rip was identified by ‘smart data’ monitoring systems on a major Fortescue Metals Group iron ore stockyard conveyor in the Pilbara. 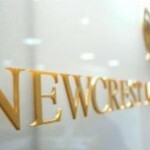 Newcrest and Unearthed launch crowdsourcing platform Newcrest Crowd (0) August 30, 2018 Newcrest Mining has launched a new online platform called Newcrest Crowd in partnership with energy and resources-focused collective Unearthed. Australian companies chosen for METStech Passport exchange program to Chile (0) August 30, 2018 Three Australian mining equipment companies are to embark on a two-week immersive course in Chile as part of government-funded body METS Ignited’s METStech Passport program. 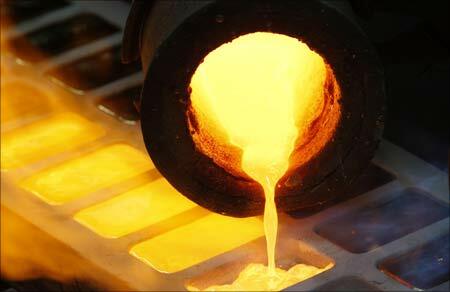 CSIRO pours gold using cyanide-free process in Australian first (0) August 29, 2018 The Commonwealth Scientific and Industrial Research Organisation (CSIRO) has extracted and produced gold using a non-toxic chemical process free of cyanide and mercury use. Victorian Government releases five-year mineral resources strategy (0) August 29, 2018 The Victorian State Government has released its mineral resources strategy for 2018–2023, identifying key challenges and opportunities in the state’s mining sector. Record profits at Orocobre signal lithium growth into 2019 (0) August 29, 2018 Brisbane-based lithium explorer Orocobre has released strong financial results for the 2018 financial year (FY2018), posting records for both revenue and underlying net profit after tax. Millennium identifies ‘breakthrough’ gold target at Nullagine using new technology (0) August 28, 2018 Millennium Minerals has identified a major greenfields exploration target at the Golden Eagle deposit, the company’s largest gold deposit at the Nullagine project in the Pilbara region. Lucapa recovers 1100 diamonds from drill sample in WA (0) August 28, 2018 Lucapa Diamond Company and Leopold Damond Company have returned over 1,100 diamonds from the Brooking diamond project in West Kimberley, Western Australia. Regis Resources achieves record gold production and profit in 2018 (0) August 28, 2018 Regis Resources has announced its results for the 2018 financial year (FY2018), posting new company records for gold production and net profit after tax. Industry expert says leaders aren’t learning from lessons of boom and bust (0) August 27, 2018 Mining commentator Allan Trench has stated that corporate decision makers aren’t paying heed to the lessons of Australia’s boom and bust cycle. 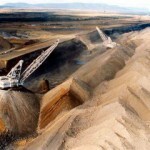 Stanmore Coal secures growth on back of Isaac Plains East (0) August 27, 2018 Stanmore Coal has achieved sales and revenue growth for FY2018 on the back of strong operational performance and improved coal sector prices. 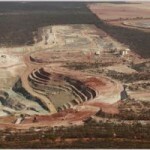 WA Government aims to reopen Ellendale diamond mine (0) August 27, 2018 The Western Australian Government is seeking expressions of interest to reopen and operate the Ellendale diamond mine in Western Australia. BMSA improves safety and extends tyre life with its OTR repair service (0) August 27, 2018 Bridgestone Mining Solutions Australia (BMSA) offers the only off-the-road (OTR) tyre repair service that is nationally accredited by the Australian Government. Mincor Resources extends nickel sulphide diamond drilling (0) August 27, 2018 Mincor Resources commenced its diamond drilling program to test for extensions to its Cassini nickel sulphide deposit at the region. First roll-on, roll-off vessel arrives at Port of Mackay in Queensland (0) August 27, 2018 The National Group recently welcomed the first roll-on, roll-off (RORO) vessel, VIking Destiny, at the Port of Mackay in Queensland. Mining sector welcomes new leadership in government (0) August 27, 2018 The mining sector has responded to the recent change in Australia’s leadership, which sees Scott Morrison’s appointment as Prime Minister. Komatsu updates low-emission engines for two trucks (0) August 27, 2018 Komatsu has added low-emission tier 4 engines that cut fuel consumption by up to 7 per cent compared with previous models to two of its trucks. Anglo American takes up rental of 16 Komatsu 830E electric drive dump trucks (0) August 24, 2018 It didn’t take long for Anglo American to secure a long-term hire following NPE’s recent addition of 16 Komatsu 830E trucks into the Australian market. Talison Lithium awards contract for Greenbushes expansion (0) August 24, 2018 Talison Lithium has awarded a $23.5 million contract to Kerman Contracting to construct a new bulk storage facility at Port of Bunbury in Western Australia. Macmahon contract wins guide 2018 revival (0) August 24, 2018 Mining contractor Macmahon has almost doubled its revenue growth to $710 million for the 2018 financial year in a significant improvement on 2017 figures. NRW shines in 2018 thanks to impact of new contracts (0) August 24, 2018 Mining contractor NRW Holdings will release its first dividend to shareholders since October 2014 as the result of a positive financial year. Orminex pours first gold at Comet Vale JV project (0) August 24, 2018 WA-based Orminex has poured its first gold from its jointly owned Comet Vale operation, 202 Oz, in the Goldfields region of Western Australia. Northern Star record profits bolstered by Goldfields production (0) August 24, 2018 Northern Star posted a record net profit of $194 million after both its Jundee and Kalgoorlie operations posted a combined 15 per cent increase in EBITDA of $486 million. University of Adelaide to strengthen mining sector with $15m investment (0) August 24, 2018 A new South Australian mining research consortium was launched by the University of Adelaide yesterday. St Barbara sets record gold production and profits (0) August 24, 2018 Gold-focused St Barbara has achieved several company records following the release of its 2018 financial year results. Mining and energy sector continues to lead national jobs rise (0) August 23, 2018 Mining resources and energy sector led Australia’s year-on-year rise in job advertisements, according to SEEK’s latest report. BCI Minerals plans sale of Pilbara iron ore assets (0) August 23, 2018 Pilbara-focused junior BCI Minerals has launched a divestment process for its portfolio of iron ore assets projects in the Western Australian region. FIFO code of practice up for review in WA (0) August 23, 2018 The McGowan government has released an updated draft FIFO code of practice to protect Western Australians’ mental health in the workplace. Newcrest cuts cost of Cadia plant expansion by 80% (0) August 23, 2018 Newcrest Mining is on track to expand the Cadia gold operations in New South Wales with a much lower investment than previously expected. MinRes increases Wodgina power contract to $30m (0) August 22, 2018 Contract Power’s agreement with Mineral Resources at the Wodgina lithium project has been updated, resulting in the addition of 17MW of temporary power and an extra $30 million in value. Western Areas lines up development plans as demand increases (0) August 22, 2018 Western Areas has reported increasing customer demand from the likes of the world’s largest stainless steel company, Tsingshan Group. South32 exercises 60% option on Inca Minerals’ Riqueza project (0) August 22, 2018 South32 has exercised its exclusive earn-in option on Inca Minerals’ maiden Greater Riqueza zinc-silver-lead project in Peru. Galileo likens Fraser Range targets to IGO’s Nova (0) August 22, 2018 Galileo Mining has identified exploration targets in the Fraser Range, Western Australia that it has compared with Independence Group’s (IGO) Nova nickel-copper-cobalt ore body. 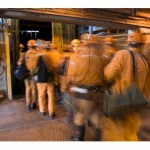 South Australian mining job opportunities on the rise (0) August 22, 2018 Mining job opportunities in South Australia are trending up according to a report from research body Resources and Engineering Skills Alliance (RESA). Rio Tinto launches diamond pipe at Diavik mine (0) August 22, 2018 Rio Tinto has opened a fourth diamond pipe at the Diavik diamond mine in the Northwest Territories of Canada. Tyranna Resources to acquire US Cobalt (0) August 21, 2018 Western Australia-based Tyranna Resources is to acquire 100 per cent of Nevada-based US Cobalt. MMG performance propped up by Dugald River mine (0) August 21, 2018 MMG’s revenue increased by $US149 million ($203 million) in the first half of 2018 due to the Dugald River mine’s first commercial production in Queensland. Newcrest competition highlights core tray analysis innovation (0) August 21, 2018 A competition held by Newcrest Mining has resulted in an innovative solution that uses machine learning for the analysis of historical mining core trays. Australia to lead tripling of global lithium production (0) August 21, 2018 Global lithium production is set to triple over the next four years, according to information from data and analytics company GlobalData. BHP’s Olympic Dam slowed by technical concern (0) August 21, 2018 BHP is reportedly working to fix a technical issue that has disrupted its processing facilities at the Olympic Dam mine in South Australia. GR Engineering wins Saracen contract at Carosue Dam (0) August 21, 2018 The mining services company has secured a contract for the engineering design, procurement and construction of a paste backfill plant at the Carosue Dam gold operations. Gascoyne raises $19 million funding for Dalgaranga gold (0) August 20, 2018 Gascoyne Resources has raised $19 million through an oversubscribed placement. Monax enters vanadium farm-in with Mithril at Limestone Well (0) August 20, 2018 Monax Mining has entered a farm-in and joint venture (JV) agreement with Mithril Resources to earn up to 80 per cent of Mithril’s Limestone Well tenements in Western Australia. Northern Minerals achieves mechanical completion at heavy rare earths plant (0) August 20, 2018 Northern Minerals has reached mechanical completion at its 60,000 tonnes a year Browns Range dysprosium pilot plant, having installed, powered up and tested all components of the process plant. Artemis resumes exploration with Novo at Purdy’s Reward (0) August 20, 2018 Artemis Resources and joint venture (JV) partner Novo Resources have restarted ground disturbing exploration at the Purdy’s Reward gold project, south of Karratha, Western Australia. Chinese demand for high-grade iron ore hits Fortescue (0) August 20, 2018 Fortescue Metals Group’s financial performance has slumped as China has focused on using high-grade iron ore at its steel mills. Permanent mining job opportunities grow but pace is slowing (0) August 20, 2018 The latest Mining and Resources Job Index from DFP shows continued growth for mining in July, though annual growth is slowing. Evolution Mining in record territory despite production fall (0) August 17, 2018 Evolution Mining may have logged a fall in gold production for the 2018 financial year but the miner has plenty to cheer about in other areas of its performance. More jobs released in QLD’s resources sector (0) August 17, 2018 One new job was created every hour in Queensland’s resources sector last month. This amounted to an additional 4400 jobs, with more than 1400 vacancies still advertised online. Yancoal reaps rewards from Rio Tinto acquisition (0) August 17, 2018 Yancoal’s acquisition of Rio Tinto’s Coal & Allied business unit in New South Wales last year has paid off for the company. Neometals to demerge assets, add focus on Mt Marion lithium (0) August 16, 2018 Neometals will increase its focus on the development of its respective titanium-vanadium and lithium businesses, underpinned by its Mt Marion lithium operations in the Kalgoorlie. Mining and energy lead Australian mid-market M&A in 2018 (0) August 16, 2018 Australian mid-market mergers & acquisitions (M&A) in the first half (H1) of 2018 were propelled by the energy, mining and utilities sectors. OZ Minerals delivers development progress as profits spike (0) August 16, 2018 OZ Minerals has significantly increased its profits so far this year after benefitting from higher copper prices and improved operational efficiencies. Anglo American adds 16 Komatsu 830E trucks to coal operations (0) August 16, 2018 Anglo American has entered a long-term hire of 16 Komatsu 830E (electric drive) mine trucks from supplier National Plant & Equipment (NPE). Gold Road boss Murray to retire (0) August 16, 2018 Gold Road Resources has appointed Duncan Gibbs as its new managing director and chief executive, following the pending retirement of Ian Murray. Mount Gibson positive ahead of Koolan Island restart (0) August 15, 2018 Mount Gibson Iron has geared up for the restart of the Koolan Island operation with a robust performance in the 2018 financial year. Swick hits 10 million metre drilling milestone (0) August 15, 2018 Though Swick was founded in 1995, the company didn’t start diamond drilling projects until nine years later. Ausdrill acquisition of Barminco to create Australia’s second largest mining contractor (0) August 15, 2018 Ausdrill is set to acquire underground hard rock contractor and African joint venture partner, Barminco, in a deal worth $271.5 million. Whitehaven Coal seeks higher production in Gunnedah as prices spike (0) August 15, 2018 Whitehaven Coal plans to continue growing its production profile in the Gunnedah Basin in New South Wales as demand for high-quality coal increases. Introducing QRAM – RYCO’s asset management system (0) August 15, 2018 RYCO’s new asset management system QRAM is set to change the way businesses manage hose assemblies and equipment anywhere around the world. Bounty moves Cook Colliery closer to restart (0) August 14, 2018 Bounty Mining has completed an upgrade to its Bowen Basin rail facilities in a significant step for the company’s Cook Colliery restart in Queensland. Hitachi’s automation plan with Whitehaven Coal and beyond (0) August 14, 2018 Japanese equipment manufacturer Hitachi has set the foundation to play a role in Australia’s move towards an autonomous mining future. Image Resources’ Boonanarring project set for fourth quarter start (0) August 14, 2018 Image Resources’ Boonanarring mineral sands project in the North Perth Basin, Western Australia, is on track to start production by the end of 2018. South32 to develop base metals project following $US1.3bn acquisition (0) August 13, 2018 South32 has completed a $US1.3 billion ($1.8 billion) acquisition of Arizona Mining, paving the way for it to develop the Hermosa base metals project in the United States. Zinc production restarts at Century mine (0) August 13, 2018 New Century Resources has started flotation and production of zinc concentrate at the Century mine processing plant in Queensland.